Well, I’m always excited to see ways to connect our children to God’s Word! 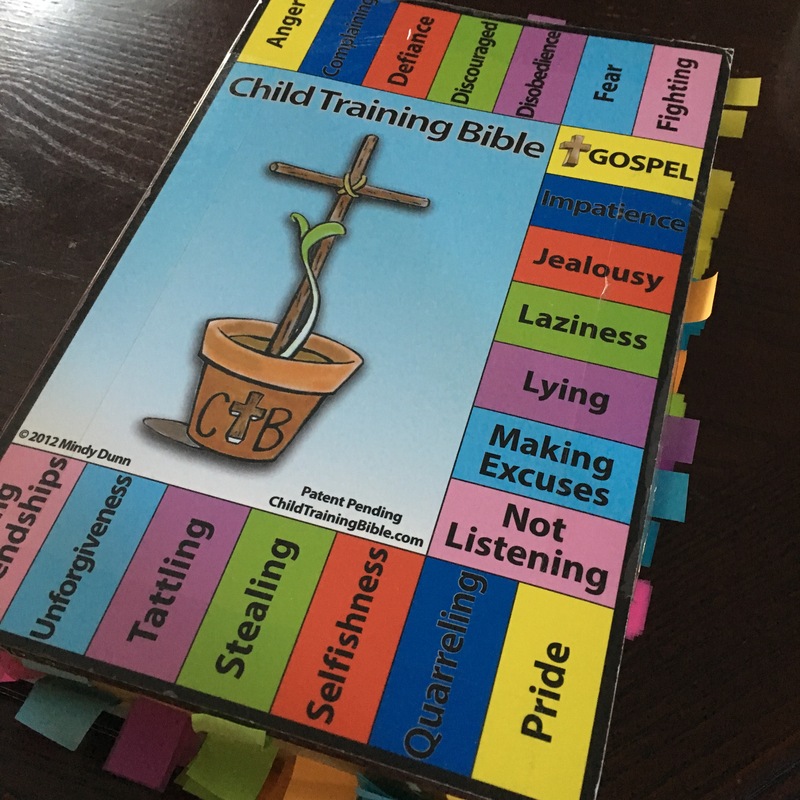 I don’t know how many of you remember, but I’ve talked in the past about an amazing tool called the Child Training Bible. I absolutely loved it when I found it online and immediately ordered it. It has been amazing. 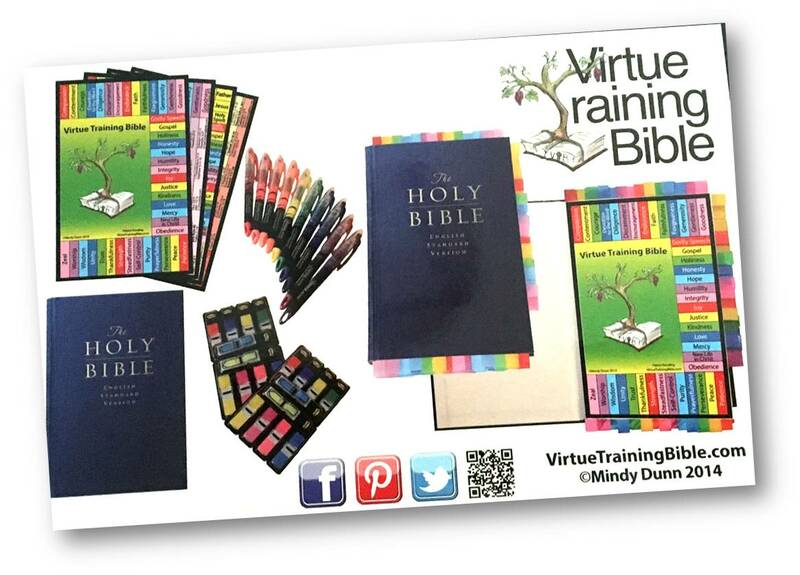 So you can imagine my excitement when I found out that Mindy Dunn had created a new version called Virtue Training Bible! I emailed her right away and asked to do a giveaway, so if this sounds interesting to you….keep reading!! First let me explain that there are 2 different versions: The Child Training Bible and the Virtue Training Bible. I will review them both, but the Giveaway will be for the Virtue Training Bible. The Child Training Bible is a tool for families to use as they direct their children to the Word of God. It contains full-color cards that help you locate and highlight scriptures about topics in 20 key areas of instruction such as Laziness, Pride, Lying, Wrong Friendships, and more. They have a Bible they recommend on their website. The important thing is that it’s the same size as the cards. It doesn’t come with the Bible. I ended up using a Bible I already had which was the exact size needed. You insert the card inside the front cover, or just tape it to the cover like I did. 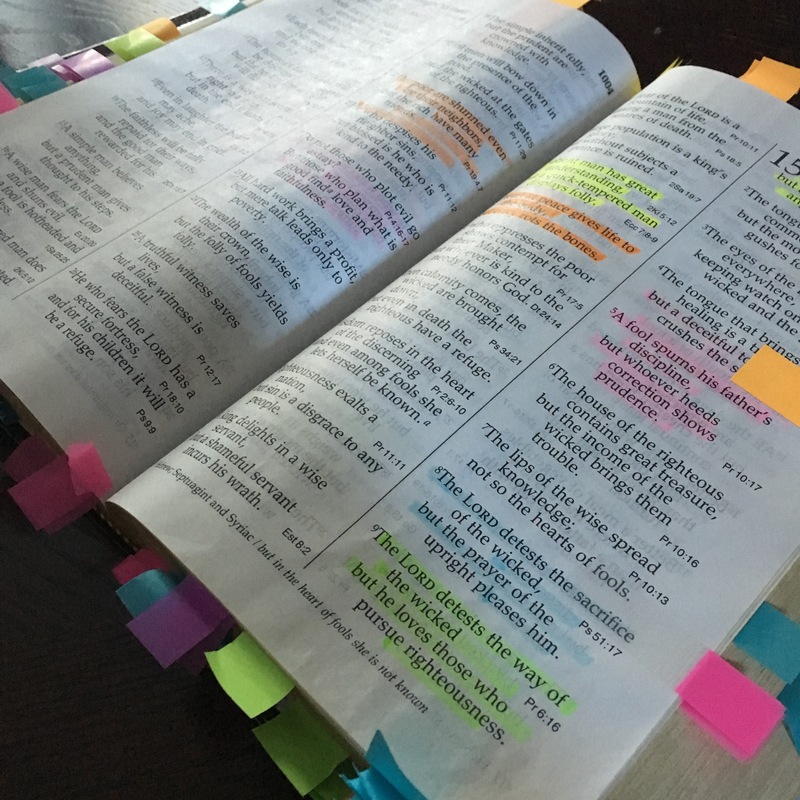 Then you use matching highlighters to find and highlight all the scriptures for each topic (see picture above). You then use matching post-it flags to mark each scripture and line up the flags with the colored area on the card. See? You need scriptures about Making Excuses? Just follow those blue flags on the side. You need scriptures about Unforgiveness? Just follow the blue flags on the bottom. The cards will lead you to 200 scripture references!! Also included is a section about the Gospel and sample prayers! The idea is that if a situation arises you and your children can sit and quickly look up that topic in the Bible. So basically instead of saying you shouldn’t tattle on your little brother…because I said so, you can sit with your child and see what the Bible says. You’d find 8 key scriptures that will help you show your child the importance of not tattling! You could even choose one to memorize together! I love this idea! Yes, it’s important to do what I say because I’m your mom, but how much MORE important is it to do what God says! It also offers a loving way of discipleship and training while creating a Biblical foundation for all that we do and say! The Virtue Training Bible works the SAME way! You set it up exactly as the Child Training Bible only this time instead of 20 topics about our actions, you will be looking at 500 scriptures that deal with 42 virtues such as Hope, Kindness, Obedience, Faithfulness, Diligence, and more! There is also a section similar to the Gospel section in the Child Training Bible, but this one focuses on the Trinity! The cards also include a 3-part prayer for each virtue. Wow! What an amazing tool right? I think every family should have this easy to use tool at their fingertips! Keep it out on the table and watch your children get drawn into the Word on their own too!! 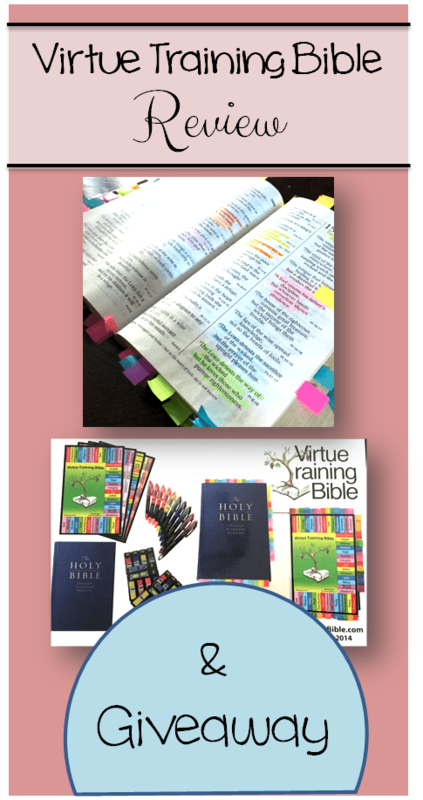 If you’d like to enter to win a free Virtue Training Bible set, then be part of the giveaway below!! I’ve had my eye on the Child Training Bible for awhile. It sounds like the Virtue one is great as well!!!! This is neat! I have researched this. I love how this resource teaches children to go straight to the Source — to search the Scriptures for what God says about a given issue. While I hope that my children give weight to what I say, ultimately, I want my children to know, heed, and treasure what God says. I appreciate the simplicity of this tool — it’s straightforward, uncomplicated, and user-friendly. And I appreciate that it’s effective for all ages. Thanks for the review and giveaway! I have wanted this for so ing! What an incredible resource!!! I saw this several years ago then forgot about it. I tried doing something similar on my own but dropped the ball. Looks like a great tool to train up our children. We already have one and it’s great! The children can look up something they want and it makes it easy for me as a parent to find something quickly. I would love to win to gift it to a friend. Would LOVE to win the Virtue Training set. Thanks so much for the opportunity! I am always saying things to my four children about how or what God wants us to be like. I’d love this resource as a quick reference to show them it specifically in the bible. What an awesome tool! I need to finish my CTB up, we do use it and my little girl loves to be able to touch the word and know where the things I’m telling her come from! I have been eyeing the VTB for awhile now……would love to win! I’d love to win the virtue training Bible. We have the Child Training Bible, and sometimes I feel like I want more of a positive attribute rather than telling the kids we shouldn’t be doing certain actions (lying, stealing, cheating, etc.) I feel the Virtue Training Bible would be a great way to stress the importance of Hope, Kindness, Love, Obedience, etc. I didn’t realize that there are 2 different options. I think it would be great to have one of each in our home to use as a family. I want my children to learn what the Bible says about how to behave. This would definitely help. LOVE LOVE LOVE my Child Training Bible and would love to win one for a friend. I think every family would be blessed with this! I hope it would help me as a parent to be able to show my children from God’s Word how we are to live and act. Also, with the way it is designed, my child could look up the Bible verses on their own. I have the child training bible and love it! I’ve been wanting the Virtue bible and would love to win it! I think my kids would enjoy how colorful it is! It makes finding the verses significantly easier for when I need them! This is awesome! Do you set up two different bibles–one for the training and one for the virtues? Thank you! Yes…that’s how we did it.